If you want to know about real estate, you want to know Kennon Earl. He and his family have been in California residential real estate for over 40 years. In fact, his own passion for the business developed at a young age while working at his father’s office. There, he learned the art of sales which led to personal success buying, renovating and selling multiple properties. This experience has taught him where to buy, how to negotiate and how to build an investment for the most discriminating clients. Kennon formed RARE Properties in 2003, Tom Davila joined forces in 2006, and soon, the group ranked among the top teams in Los Angeles. 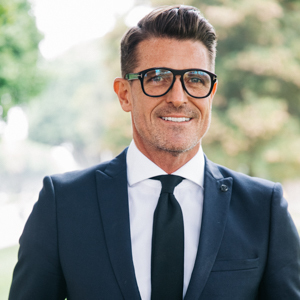 Well known to TV audiences, Kennon has starred on HGTV’s "Selling LA," was a judge on "Brother vs. Brother" and hosted Bravo's "Bidding War." Prior to real estate, Kennon worked in marketing at Twentieth Century Fox and in the fashion industry for retailers that include Giorgio Armani, Barneys New York and GUESS. Born and raised in California, Kennon attended college in Santa Barbara. A believer in giving back, he has served on the board for the Otis School of Art and Design, assisted in 3 Divine Design charitable events and in an Academy Awards event for The AIDS Healthcare Foundation.